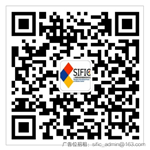 盘点2009SIFIC-我与SIFIC的故事及荣誉展示-上海国际医院感染控制论坛 - Powered by Discuz! 控制感染 + 10 + 1 才女您太棒了!说出了大家的心声! GMT+8, 2019-4-24 06:37 , Processed in 0.062502 second(s), 14 queries , Gzip On, Memcache On.